1 Bdrm 2nd flr Studio flat. Hall. Living rm. Kitch/Bdrm. Bathrm (CT band - A). 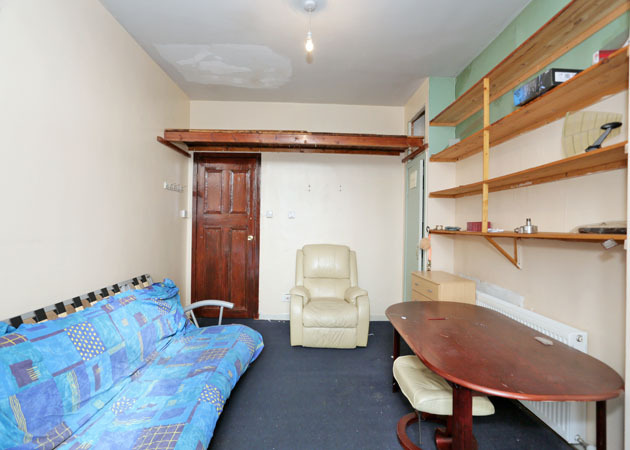 Price over £59,500 Entry by arr. Viewing contact solicitors. (EPC band - D). description: Situated on the second floor this spacious studio flat provides an excellent purchase for the first time buyer or, alternatively a buy to let investor. The central hall gives access to the living room which has a bay window, bathroom and kitchen with concealed pull out bed. 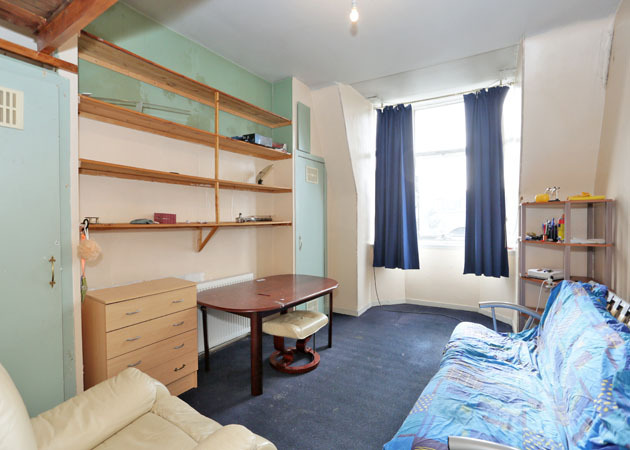 The flat benefits from gas central heating, new double glazed windows and a security entry system. directions: Travelling east along Union Street, turn left on to Union Terrace. Turn left on to Rosemount Viaduct and at the T junction at Rosemount Place, turn right. At the roundabout, continue straight ahead on to Maberly Street. 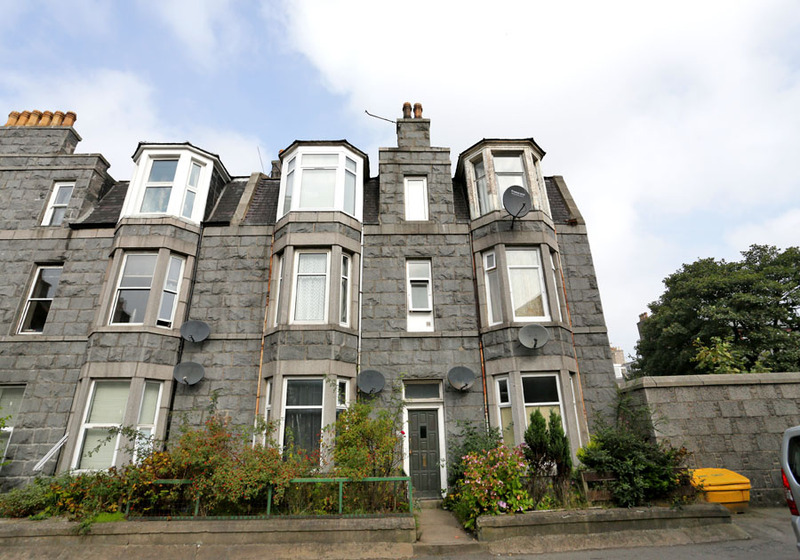 location: Maberly Street within easy reach of the City centre, the Aberdeen and Robert Gordon Universities. The business and industrial sites around the City and suburbs are within commuting distance and a regular public transport system allows access to most parts of the City and beyond. entrance: The communal entrance and staircase to the upper floors is accessed via a security entry system. hallway: Wall mounted cupboard housing the electric meters; wall mounted gas meter; security entry handset; coat hooks; fitted carpet; radiator. living room: 16’x11’ (4.87mx3.35m) Bright living room with a bay window to the front of the flat; wall shelves; 2 built in shelved cupboards; deep overhead shelf; fitted carpet; radiator. 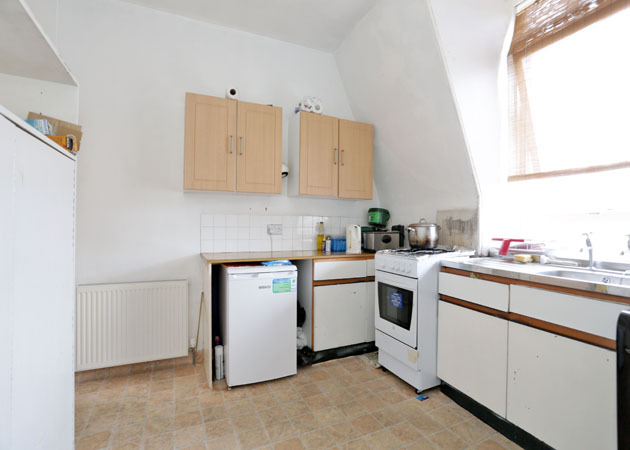 kitchen/bedroom: 11’2x10’2 (3.40mx3.09m) Fitted with various kitchen cabinets; work surface; tiled splash back; stainless steel sink and drainer; cupboard housing a pull out bed; large window to the rear; shelved recess; vinyl flooring; radiator. 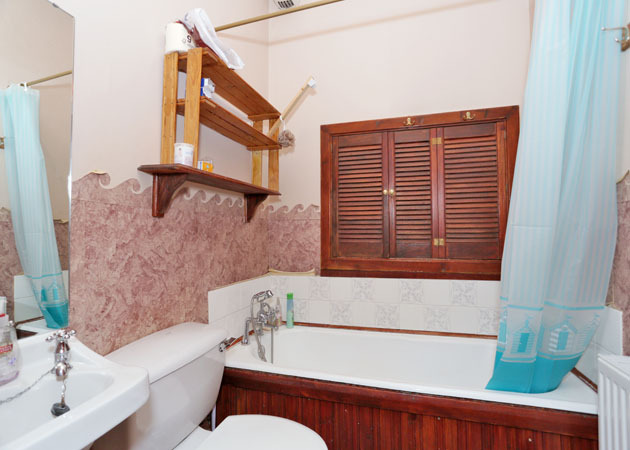 bathroom: Fitted with a three piece suite complete with hand held shower fitting; shower curtain; built in storage cupboard; wall mirror; extractor fan; vinyl flooring; radiator. outside: Shared area to the rear of the building.